Toni Barton of Lamb Bacon fame is fresh back from exploring new export market opportunities in Dubai. What she thought would be a simple name change has turned into a full rebranding with a suite of new products destined for the Middle East. She is also discovering how complex and costly preparing for export can be when it comes to a highly regulated food industry. 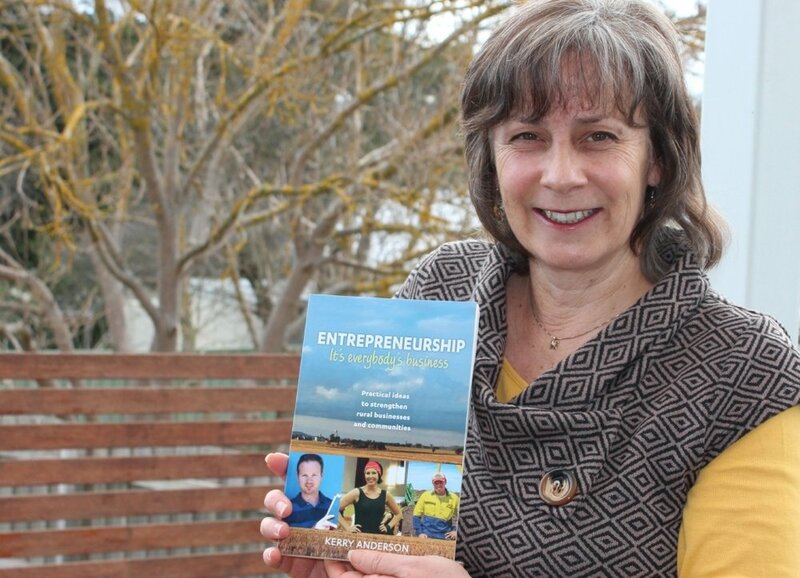 But the biggest surprise of all was the celebrity status thrust upon her just for being an Australian lamb producer. In February 2019 Toni travelled to Gulfood, the world’s largest food conference held in Dubai. She was part of the Victorian Government’s trade mission to explore the ‘appetite’ for her processed lamb products. Based on prior research, she had modest expectations for the four products on offer. But, as her fellow delegates headed off the pub each night, Toni was still in discussions and writing up orders. Her projections quickly escalated. ‘Provenance is very important in the export market and Australian meat has amazing equity. Middle Eastern countries love Australian lamb. My suite of products has been picked up by the five and six-star hotels and high-end supermarkets in Oman, Dubai, Qatar, and Kuwait,’ she explained. Thanks to The Weekly Time’s Shine Awards, Toni has become used to publicity in recent months, but nothing prepared her for the reaction in Dubai. ‘Just because I’m a sheep farmer, I was made to feel like a celebrity. I’ve been totally overwhelmed by the response,’ she admitted. Prior to her visit Toni was already aware that her iconic ‘Lamb Bacon’ brand was destined to remain on Australian soil. She had to clearly delineate her lamb products from pork in countries that adhere to strict Halal practices. A new name was required for export. Her initial plan was to simply change the name from Lamb Bacon to Lamb Rashers, but Tony felt that it was still a bit dubious and there was also the consideration that she had a suite of products to sell. ‘In 48 hours just before I took off for Dubai, I did a total rebrand, printed labels, and created a new website – Barton’s Smallgoods, to avoid any confusion.’ She shakes her head. ‘It was crazy,’ but her marketing skills from a former corporate life came in very handy. Thanks to a Meat Livestock Australia (MLA) Producer Led Innovation Grant, Toni has also received some financial assistance to navigate her way through the export process. One by one Toni is dealing with multiple challenges to get her unique products export ready. She rattles of an extensive list of the licensing bodies to which she must submit paperwork, meet assessment, and pay fees. She estimates that it will require at least $100,000 before she even produces one product. ‘While Australia does already export a lot of meat to the middle east, it’s a complex environment made very difficult for small producers,’ she acknowledges. The engagement of HASSOP and Export consultants has been a necessity during the process. Toni has leased part of a former food factory in Geelong to become her export processing site. She is co-tenant with another food manufacturer making it an affordable option. A private loan has enabled her to fit the premises out. Staff will be employed to run Barton’s Smallgoods as a separate entity to her existing farming enterprise at Nulla Vale near Lancefield in central Victoria. Given the high level of investment to become import ready, she is under no illusion that it will be at least a year before she will enjoy any personal financial benefit. Preparing for export has been an extremely busy time for Toni, and particularly the next six weeks as she finalises all the paperwork and commissions the new factory processing plant. The first shipment of orders is scheduled for late-April. She looks surprised when I ask her how she is dealing with the stress.